Anésia Pinheiro Machado with Newton Braga and Carola Lorenzini. 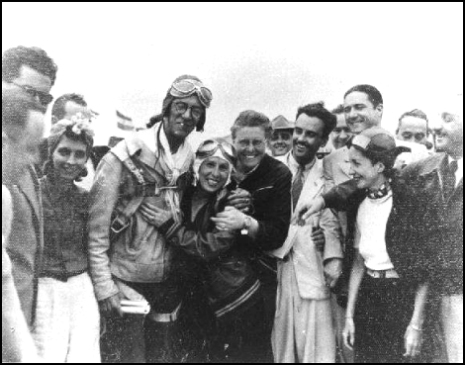 Após a demonstração acrobatica, em 1940, com Newton Braga e a aviadora Carola Lorenzini. ONLINE RESOURCES If you search for "Newton Braga +aviação", using the Google search engine, (10-11-03), you will find about links. One of the most useful it the following. Major Brigadeiro Newton Braga This article from the Personalities section of the AERONEWS, "o Portal Brasileiro de Aviação" website, offers a very comprehensive and interesting biography of Newton. If you read Portuguese, you can enjoy the article in its orignal form by clicking on the title above. If you can't read Portuguese, you can take advantage of the translation which I have tried to make available below. Paraíba do Sul, March 7, 1882, one hundred and eighteen years ago, Newton Braga was born in the locality of Rio Abaixo, in Santo Antônio da Encruzilhada, today the Vila Salutaris, in the 2º District of Paraíba do Sul. His parents, João Braga Júnior and his mother Anna Maria Duffrayer Braga, had had numerous offspring: Newton, Argentina, Romeu, Osvaldo, Maria Guilhermina, Jobel, Jackson and Irene. Very early, Newton revealed an inclination to studies allied to a taste for the general culture. Thus in the determination to improve himself, he left for Rio De Janeiro. At the age of 17, he enrolled in the Colégio São Bento (1899), as a day school student, by virtue of which he received free education. Friar João das Mercês Ramos was director of the College at the time, and the professors were Cônego Cereja of Latin and Meira of Geometry and Trigonometry. He had as colleagues the great poet Pereira da Silva, and the doctors, Nicholas Cianccio and Américo Batista Gonçalves. An exemplary pupil, he passed eight preparatory exams in one year, being approved in the 2º. Place: examination of Natural History as the only one out of sixteen competing. 1903 - He concluded the course above on March 17. 1908 - When he attended a course at the School of Artillery and Engineering, he was promoted to the rank of Second Lieutenant. 1914 - He served as the Delegate of Xapuri in the "Regional Company of the Acre" until October. 1917 - He concluded the course brilliantly, and as a prize, earned a trip Europe and promotion to the Rank of First Lieutenant. Afterwards, he attended a course at the School of Officer Improvement in order to qualify as Instructor of the 5º Battalion of the 2º Infantry regiment, in the Military Village. 1931 - Promoted to the rank of Colonel, Newton left for Europe, in response to an invitation made by the Italian Government. 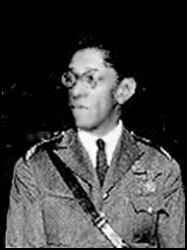 Returning to Brazil, he was nominated Commander of 1º Regiment of Aviation, in which position he remained until 1935. 1938 - Jaunary 25, he attained the rank of General of Bragada, (Brigadier General), and after a notable military career, during which he was dedicated to the studies of aviation, he retired to the reserve in that same year. 1941 - With the creation of the Ministry of the Aeronautics, he transferred to the group of the Reserve Officers of Aviators, with the rank of Brigadier General of Air. The Family Newton Braga, orphaned by his father, was an excellent son, taking of himself, his mother, his sisters Irene and Maria Guilhermina and his nephews Newton Corrêa Da Silva and Nadyr Corrêa Da Silva, orphans of his Argentinian sister. Newton married Olga de Mello Braga, a teacher of French, with whom he had a son, Newton de Mello Braga, born the 27th of November, 1922 in Santa Maria da Boca do Monte - Rio Grande Do Sul. Their son Newton was the joy of the Braga family; a brilliant pupil who attended the course at the School of Aviation, becoming an Air Cadet. But destiny determined that his beautiful career should end in a fatality. During an instruction flight, from the Campo dos Afonsos, on the 6th of July of 1942, Cadet Newton crashed and died. Crushed by what had happened to his son, Newton carried that wound which never healed for the rest of his life. The Intellectual Newton Braga was not only an expert on Aviation subjects, but also of a vast general culture. In addtion to his native language, he spoke German, Italian, French, English and Spanish fluently. Newton Braga's personality was most magnanimous, an honest man with a deep patriotic spirit, with fine manners, likeable, elegant, a true gentleman, who received the best people from Brazilian and Foreign Society in his house in sumptuous parties. He was a Great Portuguese geographer, astronomer, aerial investigator, historian, hero of the passage from Lisbon to Rio De Janeiro in the Lusitânia hydroplane and included among his friends were some of the most distinguished figures of the time such as Admiral Gago Coutinho. Some of his friends were: Adhemar de Barros, João Ribeiro de Barros, Brigadier General Eduardo Gomes, Lysias Rodrigues, the Brigadier Generals Brazil brothers, Getúlio Vargas, Major Dr. Vicente Corelli, the painter Osvaldo Teixeira, the writer and painter Fiorito Fields, the aviator Anésia Pinheiro Machado and others. On the 16th of August, 1959, exactly seventy seven years after the date of his birth, Newton Braga died, a victim of emphysema and totally blind. He was buried in the Cemitério São João Batista in Rio De Janeiro. The eyes close, for the emotions of a life full of glories. It leaves more than a souvenir, a model of to be copied for life." If time permits and you are still curious about his illustrious career, you should sample some of the other links. Newton Braga died in 1959.